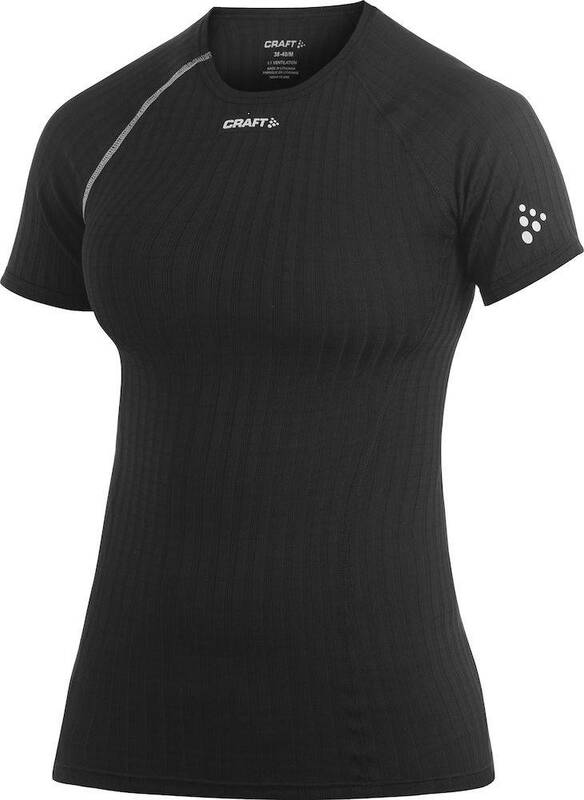 Productomschrijving Craft Active Extreme SS loopshirt dames. Thin, lightweight and elastic fabric that is channel-knitted to trap air and provide warmth. Coolmax-Air fiber against the skin enhances cooling and moisture transport. Body mapped mesh for optimal temperature regulation. Flatlock seams that follow body movements.